Kindness is a powerful force that can radically transform the world. A smile can bridge connection. Holding the door open can make someone feel noticed. A kind message can show someone that they’re cared for. Kindness is basically magic as each kind act inspires and generates more kindness. Despite its magical qualities, kindness seems to be increasingly underrated and rare to find. Which means we have our work cut out for us. Creating a standard of kindness in your classroom is a goal we all share. And like most good things, building a culture of kindness takes work! But the payout is sooooo worth it! Happy, thriving students who go out and positively influence the world. Yeah, that’s definitely worth the time and energy. First and foremost, if you want students to be kind, you have to be kind. Choose to model the kindness you want to see in your students. Let’s be real, kids like attention (I mean, don’t we all). They want to be noticed. So just like you’d acknowledge quality academic work, intentionally praise kindness. 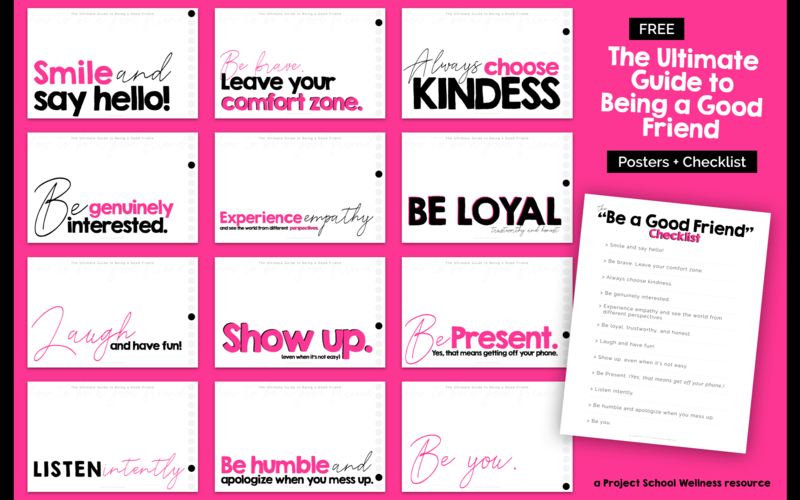 Here’s a free resource to help make this easier, Student Praise Cards! For some students, going out of their way to be kind isn’t really on their radar. So it’s essential to create opportunities for students to be kind. Sadly, kindness isn’t always the norm, and some students don’t see enough kindness in their lives. This means we may have to teach what it means to be kind. Example: Share specific examples of what kindness looks like through books (Wonder), YouTube clips, and other media sources. Finally, if you want to create a standard of kindness, kindness needs to be the expectation. This means, don’t settle for anything less than kind behavior. I’m not recommending that you shame or belittle unkind acts. Instead, I suggest approaching unkind moments with a restorative and empathy driven mindset. Help students understand how unkind actions make someone feel. Then, help students identify kinder options for the future. Just in case you missed it last week, don’t forget to download your free classroom posters (see below) about how to be a good friend. The 12 highlighted social habits are drenched in kindness. By integrating these social habits into their lives, students begin to live with a standard of kindness! If you’re in the business of setting a standard of kindness in your classroom, be sure to come back next week. I’ll be sharing 100 kind things middle schoolers can to do!